A: Mold release and circuit board in one detergent? Yes! You may indeed be able to use one detergent in both these cleaning applications. But it will only work if the copper is not in the form of an oxide. Here’s why. For the mold release agent cleaning, our Alconox® Powdered Precision Cleaner or our Detonox® Ultimate Precision Cleaner are both very powerful emulsifiers and should work well. With regards to cleaning copper traces on printed circuit boards, both of these detergents also have powerful dispersion properties and either should remove copper particles and residue quite well. However, if the copper is in the form of an oxide, we would recommend an acidic detergent like Citranox® Acid Cleaner and Detergent. Two important things of note regarding water temperature and rinse for these applications. Mold Release Agents: The key to cleaning mold release is very hot temperatures to ensure the softening point of the agent is reached, usually between 160-170ºF / ~80C. This is because above that softening point, they are much easier to emulsify. It is also important to use a very hot (170F/80C) rinse to avoid break emulsions that form due to thermal shock and redepositing the residue. After the first very hot rinse, normal ambient temperature rinsing can be done. 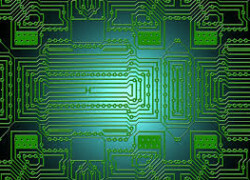 Circuit Boards: A thorough rinse with deionized water is a must to ensure proper pcb function. Residual ions can short circuit the board. Otherwise Detergent 8® Low-Foaming Ion-Free Detergent whose use in printed circuit board cleaning is wide and successful. Combining mold release and circuit board cleaning is just one combination application our detergents can perform. We are happy to discuss others.